The Firm’s Jim Geoly (left) with Bishop R. Daniel Conlon of the Diocese of Joliet at the recent Deo Gratias Society Mass and Reception. 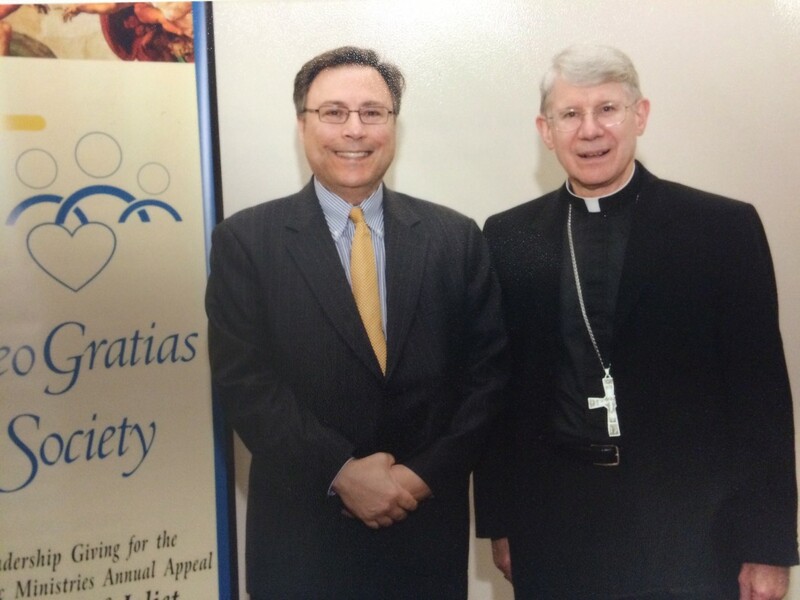 The Firm’s sponsorship of the Joliet Deo Gratias Society and other development efforts assist in fulfilling the mission of the Church as well as the work of Joliet Catholic Charities and other ministries. The Mass was held at Blanchette Catholic Center, Xavier Chapel in Crest Hill.